In 1867, the American evangelist D.L. 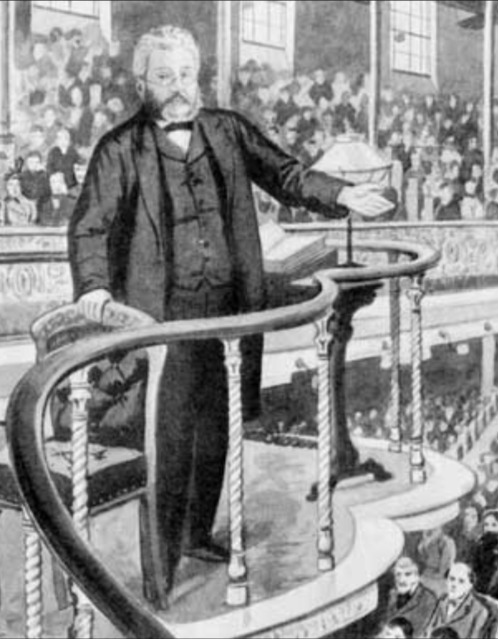 Moody visited the Metropolitan Tabernacle in city of London. He had come 4000 miles to hear Charles Spurgeon, renowned as “The Prince of Preachers.” He was not disappointed. He would later reminisce that what impressed him most was not the worship, though he thought he had never heard such grand congregational singing; it was not Spurgeon’s sermon, though it was as powerful as he could have ever hoped; instead, it was his prayer. Moody recalled that Spurgeon seemed to have such access to God that he could bring down the power from heaven. He was convinced that was the secret of Spurgeon’s influence and success. The whole work of the great church Spurgeon had planted in one of London’s poorest neighborhoods was rooted in and depended upon prayer. “The power of prayer can never be overrated,” he argued. “They who cannot serve God by preaching need not regret. If a man can but pray he can do anything. He who knows how to overcome with God in prayer has Heaven and earth at his disposal.” Thus, the church not only sponsored weekly prayer meetings, had a team of intercessors praying throughout the city through the week, and hosted seasons of prayer at various times through the year, it also trained intercessors to do the work of spiritual warfare during its regular Lord’s Day worship services (at one point there was a years-long waiting list just to be able to join the prayer team in the basement during Sunday services).